Wood fencing is the best choice for you…or is it? 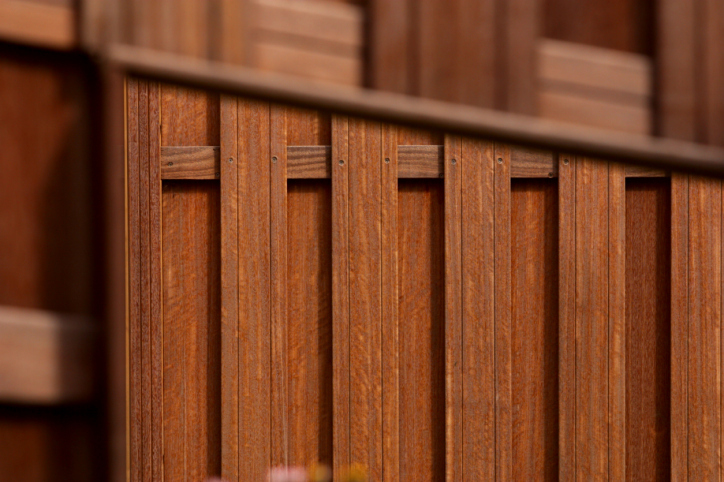 Wood fences are some of the most popular types of fences. It’s easy to see why; the classic wood fence has a natural look and can be made in a huge variety of styles and designs. Wood is easily customizable, as you can stain it, paint it, and even add your own custom fence post caps. However, is wood fencing really the best choice when compared to other types of fences? Wood does tend to require more upkeep and is susceptible to pests, mold, and rot. Is it really the best choice? Let’s find out. Wood makes for a great privacy fence, as there are no gaps between wood planks, and the natural look boosts your curb appeal to boot! Pressure treated wood can withstand pests and the elements better than untreated wood, but it will require more upkeep regardless. If you’re looking for the appearance of wood without the maintenance requirements, then vinyl may be the solution. Vinyl fencing can be made to have the appearance of a wood grain without being susceptible to the same things that affect wood fencing. However, this type of fence costs a bit more than wood and doesn’t look quite as natural. Aluminum is a great fencing material that is both decorative and secure. Aluminum fencing is rust-proof, lightweight, and retains its color over time. This type of fencing can add an austere, historical sense to your property. It can also be specially designed for high security. This is one of the most expensive types of fences, so you should only invest in an aluminum fence for a property that you will own for a long time. If you’re looking for security without the big price tag, then chain link fencing is the way to go. While not as pretty as aluminum fencing, chain link fencing provides a similarly high level of security while also being a more affordable choice. Galvanized or coated chain link fences are rust resistant, and there are plenty of ways to make a chain link fence look more attractive! So, which type of fencing is the best choice? It really depends upon your tastes, budget, and needs. We hope you can use this information to knowledgeably choose the best fence for you! This entry was posted on Thursday, September 29th, 2016 at 8:40 pm. Both comments and pings are currently closed.